Have you been looking at your feline sidekick wondering how many teeth the cat has? Well, first things first. Did you know, that your cute little cat has 30 teeth when they grow up? Let me tell you, taking good care of their little pearly whites is not an easy job, but as important as our own dental hygiene. Cats are not human and cannot brush or floss their teeth. Wildcats chew on bones and grass to keep their teeth clean, but as your pet, that is not an option. These ways to keep your cat’s teeth clean will help you to maintain proper dental and oral hygiene for your cute little pet. Like we humans need vaccination in our life to fight against different diseases, cats also need the same.This article will guide you to maintain the schedule on time and without any hurdles. I am sure you are taking your pet for regular visits to the vet. But have you been including dental checkup as part of that regular visit? Chances are, you have not. Most of us overrate the animals’ tendency to clean up on their own and feel the lesser needs of keeping their teeth in check. 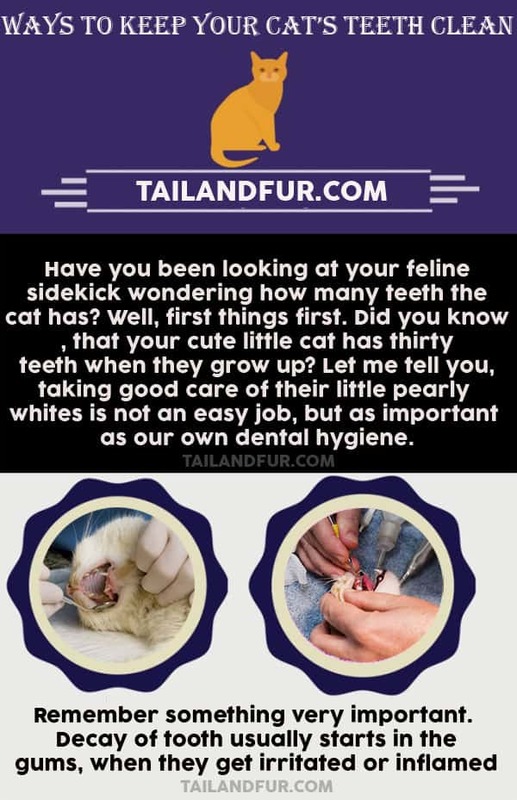 Though, like human beings, cats will suffer from dental problems, if those problems are not checked out in time, and these dental problems in turn can lead to other health issues for your pet. This is where you have to invest in the best pet insurance plan for cats you can get. You now know that an annual checkup that includes oral checkups is a must. Now, you must be extra vigilant and make sure that you tell the vet everything that the cat has been suffering from. It could foul fishy or bad breath or bleeding in the mouth that you might notice after your cat has eaten something dry. Sporadic bleeding is not something to worry about, but if it happens along with bad breath, and you notice that your cat is drooling as well, it might need a thorough teeth cleaning or even an extraction of a tooth. Don’t hesitate to ask your vet to check your pet’s mouth thoroughly. 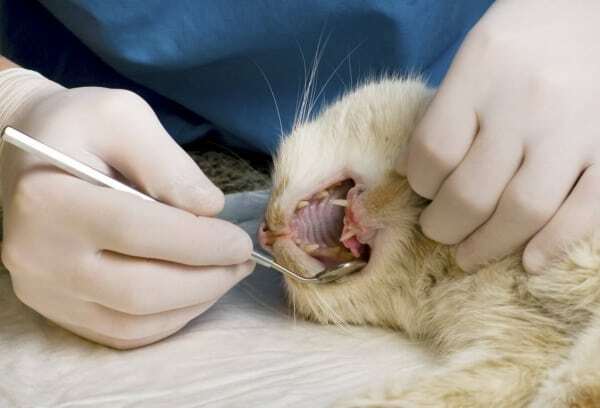 Moreover, the gastric issues are no less while talking of ways to keep your cat’s teeth clean. 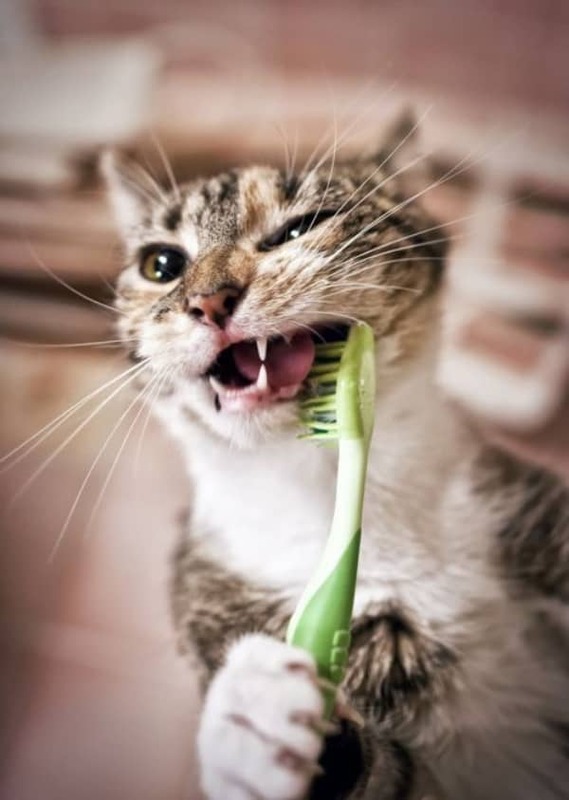 Now that you know two ways to keep your cat’s teeth clean, the next step is to get your cat used to a regular cleanup. This is easier said than done. Adult cats resist more to the cleanups, so start it while your cat is a kitten. Kids become what you teach them to be and make them practice. The same fact goes for the kittens and other animals while they are kids too! 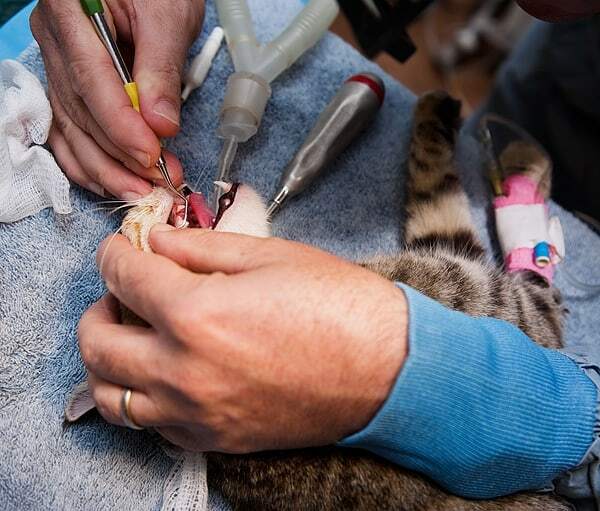 Professionals suggest cleaning the baby cat’s teeth using a finger cot or gauze with special toothpaste made for cats. One way of making it easier for your pet is to dip your finger into tuna water, then rubbing it on the kitten’s gums. If you are finding it hard to believe, that it is possible to brush a cat’s teeth, believe me you can. There is special toothpaste available that has been made for cats in flavors that they will like. Please don’t try and brush your pet’s teeth with toothpaste that you use. That is human toothpaste. If your cat eats the fluoride in that toothpaste, it will make it terribly ill. Once you have gotten your cat to like the kitty toothpaste you chose, cradle the cat in your arms from behind, cup the chin, and lift up the lip. You can then clean the teeth using your finger covered with gauze or a kitty special toothbrush. 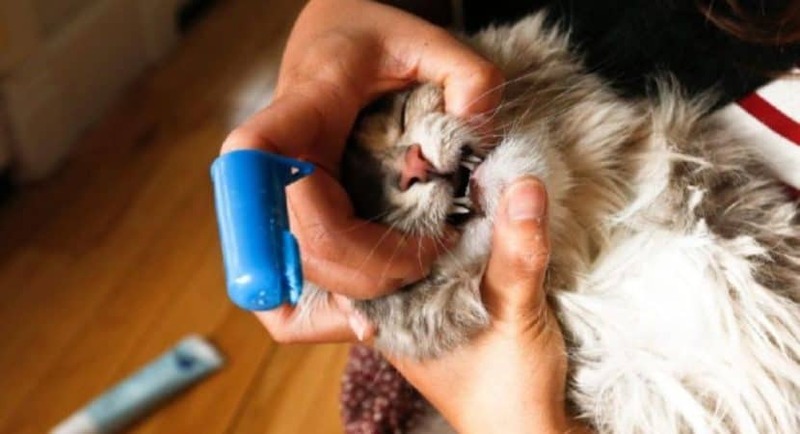 Isn’t that one of the most useful ways to keep your cat’s teeth clean that you have discovered? Remember something very important. Decay of tooth usually starts in the gums, when they get irritated or inflamed. So while taking care of your cat’s dental health, make sure you massage its gums as well. This speeds up the healing process and also makes the gums strong so that your cat will not suffer from these problems in future. A cat’s gums are pink when healthy, not red in color or irritated. Prefer dry animals foods since it required chewing and exercising to mouth also adequate gum stimulation and cleansing as well. Increment in plague and tartar formation could be the result of you giving your cats treats coming from your table and junkies. Say a strict “NO” to it and see what wonders it does to your cat’s oral hygiene.Cats love to taste human foods and when they get it, it’s like getting a dream comes true. Yes, cats love to eat human foods but you can’t give them what you eat. So, get going peeps and start implementing these ways to keep your cat’s teeth clean. Take care of your little cute cat because at the end of the day, when you need some warm cuddling, she is the one there for you, isn’t it?